The chief of Daimler, Dieter Zetsche, at the Geneva International Motor Show in 2016. The automaker is under investigation in Germany and the United States, accused of evading emissions rules. 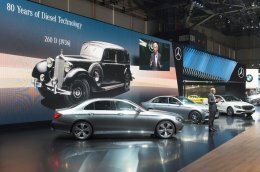 FRANKFURT — Daimler, the German automaker, said on Tuesday that it would update three million Mercedes cars in Europe to reduce their diesel emissions, an apparent effort to combat a widening inquiry and a public backlash over allegations that it evaded rules controlling vehicle pollutants. The move, which Daimler declined to call a recall, is being made as the company faces investigations on both sides of the Atlantic over the diesel deception accusations. Daimler has been under increasing pressure in Germany since media reports last week suggesting the scale of the emissions problem was greater than previously known. While the company denies doing anything illegal, last week its managers were summoned to Berlin for talks with officials about emissions. Chancellor Angela Merkel of Germany is under pressure amid criticism that her government has long coddled carmakers and ignored signs that nearly all diesel vehicles in Europe emit more harmful nitrogen oxides in normal use than regulations allow. “To effectively improve the emissions of additional model series, Daimler has now decided to extend the service action to include over three million Mercedes-Benz vehicles, ” the company said in statement. It said the measures would be rolled out in the coming weeks and would cost about 220 million euros, or $252 million. By volunteering to upgrade the cars’ emission systems, Daimler appears to be trying to avoid the fate of Volkswagen. The carmaker, based in Wolfsburg, Germany, paid more than $22 billion in civil and criminal penalties and legal settlements in the United States after admitting to manipulating diesel emissions controls. The financial penalties for Volkswagen were much worse than they might have been because it staged an elaborate cover-up after regulators began asking questions in early 2014. A software update, which Daimler said would take about an hour, will cause the emissions controls to operate under a broader set of conditions. Previously, the pollution equipment was programmed to operate at maximum effectiveness only under a narrow range of temperatures. That range will be expanded. Daimler and other European automakers have faced intense criticism from environmental groups and some governments for exploiting loopholes in regulations that allow car companies to dial back emissions controls to protect the engine. Studies by the German, French and British governments found that many vehicles shut down pollution controls when the outside air temperature was below 20 degrees Celsius or 68 degrees Fahrenheit. The software update will not initially be available in the United States. Jörg Howe, a Daimler spokesman, said the company was in talks with the United States Department of Justice, the Environmental Protection Agency, and the California Air Resources Board. The agencies have been investigating Daimler emissions. The company is also the subject of a criminal investigation in Germany, although no suspects have been identified. European carmakers have looked to diesel engines to help comply with regulations intended to combat climate change. But while diesel vehicles emit lower levels of carbon dioxide compared with their gasoline counterparts and have better fuel efficiency, they spew nitrogen oxides, which cause asthma and are considered carcinogens. The dependence on diesel has come at a cost, however. As the expense of installing equipment required to neutralize diesel fumes has increased, carmakers have found it difficult to keep the cars competitively priced. In the most extensive case, Volkswagen has had to pay billions of dollars in settlements and fines in the United States after it was found to be using “defeat devices” — software that noted when cars were being tested in labs and changed their emissions to comply with regulations — in its vehicles. Several of the company’s executives have also been investigated or charged. Fiat Chrysler Automobiles has also been caught up in investigations, and the company has held talks with the Justice Department to settle (though the penalty is not expected to be as severe as in Volkswagen’s case). The carmaker announced in May that it would modify 100, 000 vehicles to reach a settlement with American officials. As far as is known, the allegations against Daimler are less severe and involve fewer cars than the allegations against Volkswagen. Volkswagen has admitted programming 11 million vehicles, including about 600, 000 in the United States, to recognize the signs of an official emissions test conducted on rollers in a lab. The cheating software suggested a level of criminal intent that may not be the case with Daimler. 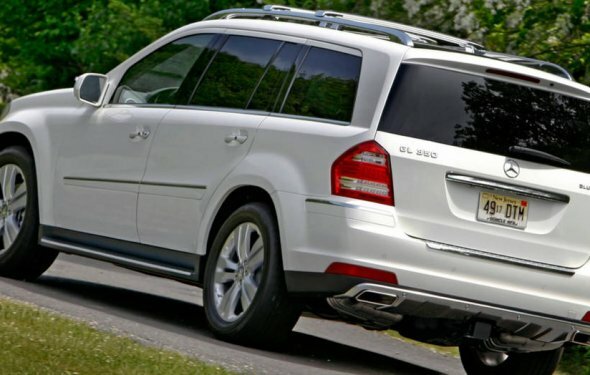 The investigation in the United States appears to focus on whether Daimler fulfilled its duty to tell regulators when the emissions controls might be turned down.